The press conference for the EBU and PBS at the Junior Eurovision Song Contest 2016 was held earlier, we bring you the main talking points. Mr Jon Ola Sand (Executive Supervisor) stated that he had been in contact with various member broadcasters those who compete in the contest and those who do not. Questions were asked as to what changes they would like to see to the format. The clear feedback they received was that they needed the contest to fit better on their schedules. It was stated that the contest was running very late for audiences in the East and that on a Saturday the contest was in strong competition with other shows like The Voice or Idol. The time slot now is argued to be one that is stronger for broadcasters, which can stand out in a schedule. This years venue in Malta is the smallest that has ever hosted the Junior Eurovision Song Contest with a capacity of just over 1,000. Jon Ola Sand commented earlier in the week at the Opening Ceremony that this was a much more suitable size for the contest. He added onto these comments today by explaining that for the participants this venue size is far less intimidating. The size of the venue however is a discussion that will take place with next years host broadcaster. This years contest sees a total of 17 countries take part in the contest. Returning to the contest this year are Cyprus, Poland and Israel. Jon Ola Sand said that he questioned as to whether the contest would benefit from more than 20 countries participating in the contest. The rules for the contest currently state that no more than 18 countries can participate in the contest. The decision was based on the feedback of EBU members. Mr Sand explained that the interest of the televote in the show is low, on top of this the inclusion of a televote is expensive for broadcasters. He added that the decision was taken to remove the televote and instead add in a new narrative to the contest through the Expert Panel. This Panel will according to Mr Sand will provide valuable feedback to the participants and that it is hopefully something that will continue into the future. He went on to confirm that a return to the televote will not occur. It was confirmed that the Expert Panel will not be providing specific comments for every performer, instead they will watch all of the show on Sunday. Then after all of the performances each expert will give a general comment on all of the performances, they will not be specific to any performance. Mr Sand said that he hoped that the Expert Panel will inspire the participants, it is important that they don’t give comments directly to the participants. 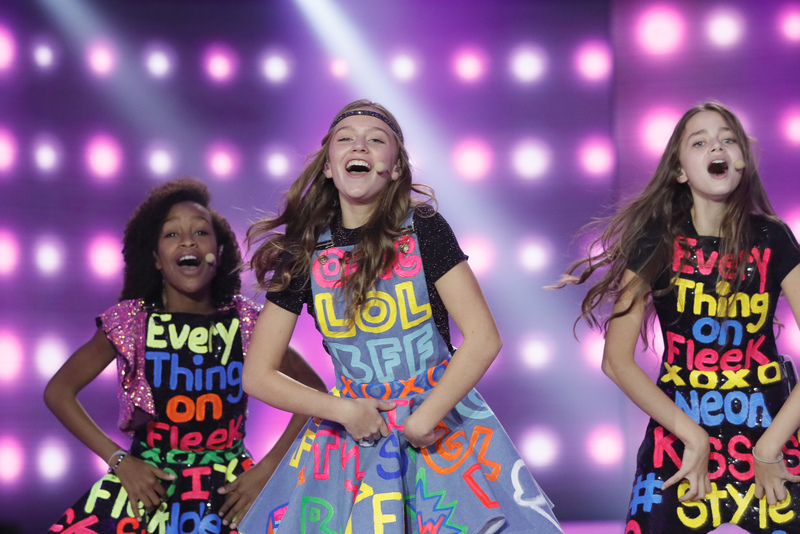 It was outlined that many countries had refused to participate in the contest as Junior Eurovision is deemed to be a copycat of the Eurovision Song Contest. Jon Ola Sand stated that the contest must have its own narrative. The EBU has invited broadcasters to attend the show on Sunday and to get familiar to the format once again. Mr Sand met with the new Director General of RTVE on Thursday in Geneva and stated that he would love to Spain return to the contest. Televoting is something that envolves people watching the contest, having a say in the competition’s outcome. The level of excitement is raised when televoting is used. Now that televoting is removed, a specific time slot is not even needed – broadcasters can broadcast the show at any time, this does not bring fans together, instead it segregates them.